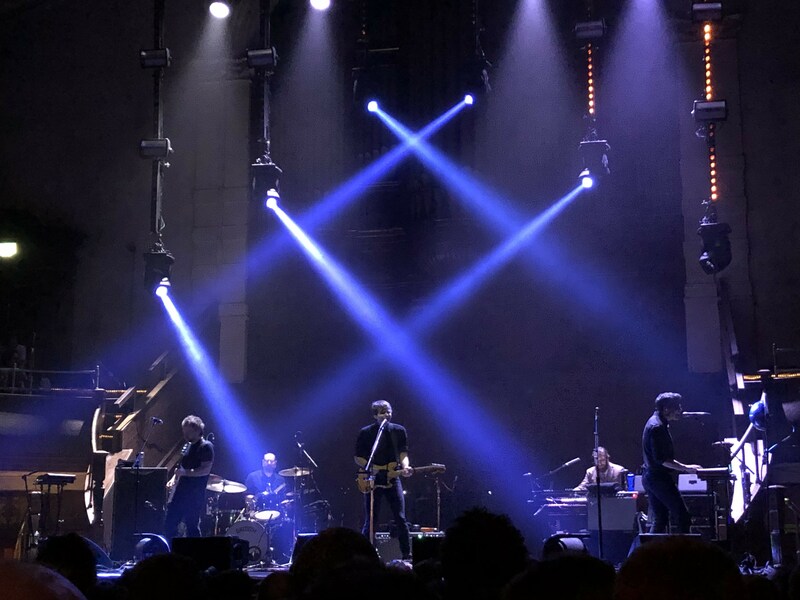 My introduction to Death Cab For Cutie wasn’t quite the same as that of my friend with whom I went with to see them play at Albert Hall in Manchester last night. They’d been to America and heard of an up and coming band. I watched teen drama the OC and also started to enjoy Seth Cohen’s favourite band. Death Cab music made up part of the Seth Cohen Starter Kit, alongside Brighteyes, The Shins, The Amazing Adventures of Kavalier & Clay and The Goonies. He gave one kit each to Summer and Anna for Chrismukkha. Summer was the girl that Seth always wanted, but Anna was arguably the one that he needed. At one point he even tried to date them both, at the same time, on the same day only for it to end in tears. I’ve seen Death Cab play a number of times, and was really excited to see them play in one of Manchester’s most underrated music venues. That said, I haven’t been a massive fan of their latest album, Thank You For Today. The interesting thing about Death Cab, for me, is that their albums somewhat belittle their live sound. Their recorded music sounds a lot more simple and a lot quieter and laid back, than when it’s played live. Death Cab are able to hold something back, starting slowly and methodically but layering intricate riffs and sounds until they reach full on rock band that I didn’t expect from listening to albums in the car. Perfect examples of this songwriting are in favourites Soul Meets Body and the whole 7 minutes and 55 seconds of Transatlanticism. Last night we were also treated to 2001’s We Laugh Indoors, which I’m not sure I’ve heard played live before. That or it had a new freshness which may be because the new music feels distinctly un-Death Cab live. Whereas the old music holds back and then gives it to you, the new stuff holds back, holds back… and then finishes. Sure, Goldrush provided a fun little interlude but we walked out a little disappointed because the new stuff just diluted the old stuff. But don’t me wrong, the old stuff was still epic and still as good as it always was. My thought was that the new music should perhaps have been filed neatly under one of frontman Ben Gibbard’s side projects. Perhaps it was an album that Death Cab thought they needed to make and needed to perform, which makes it their Anna. But in the words of Seth, “It was always you, Summer”. Summer and Seth were always meant to be, even when they weren’t. The two were synonymous long before couples’ names were joined together at the first suitable letter. Death Cab’s old music is what they’re supposed to do. Let’s hope that they go back to that.